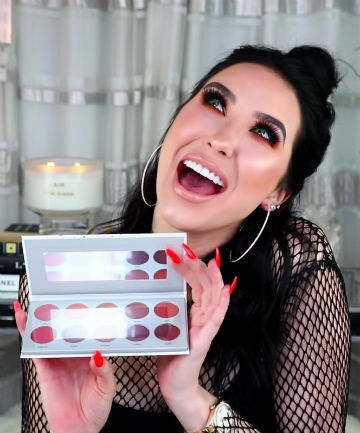 Morphe x Jaclyn Hill What It Is: The Jaclyn Hill x Morphe Vault Collection includes four 10-shade palettes, each with a different color story: There's the smoky cool Dark Magic, the khaki and marigold Armed and Gorgeous, the shimmery mauvey-purple Bling Boss and the warm, sunset-esque Ring Me Alarm. The full collection retails for $49 and you can nab the individual palettes for $15 apiece. Why You Need It: Hill explained in a video that when she was developing her first palette with Morphe, she helped design around 100 shades — for a 35-pan palette. Now, with her new Vault collection, those heretofore unseen shades will finally get their chance in the sun — mixed in with some brand new colors, of course. Whether it's makeup how-tos or beauty product recommendations, we turn to our favorite beauty bloggers for their mad makeup skills and candid opinions about all things beauty. When they swoon over a dazzling new highlighter, we die a little bit too. If they're obsessed with a particular liquid lipstick, we run out and buy it, too. In other words, their opinions hold a lot of value to us beauty junkies. Which is why, when beauty bloggers team up with beauty brands for makeup collaborations, they're among the most highly anticipated product launches of the year. From drool-worthy eye shadow palettes to seen-from-space highlighters, our favorite beauty gurus know exactly what we're looking for in our makeup. Here, the latest and greatest beauty Youtuber launches we can't wait to get our hands on.